Eggs wrapped in burrito with salsa on the side. Fry onions and capsicum in oil until softened. Beat eggs and combine with KNORR Garde d’Or Hollandaise. Melt butter in frypan and cook eggs, add cheese. 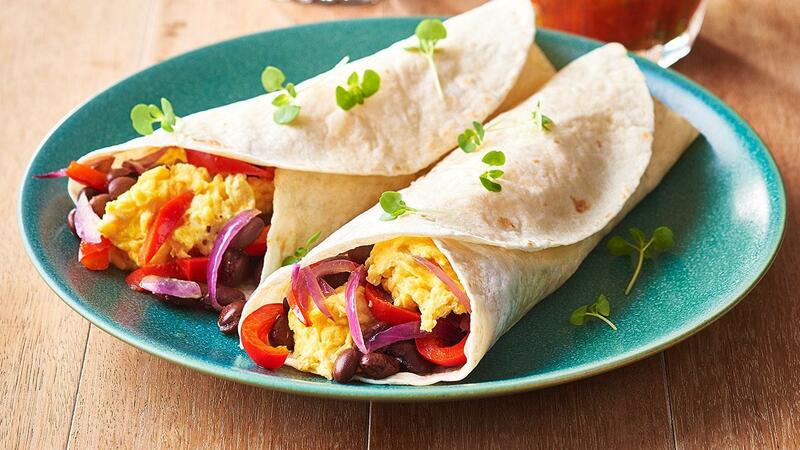 Add onion and capsicum to tortilla, top with egg, black beans and roll, serve with salsa.